Master the match-up mayhem with our beginner's guide. Greetings, budding zookeepers! 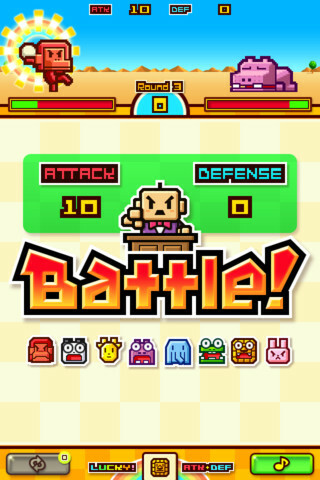 Yesterday we published our review of the all-new multiplayer Zookeeper Battle, awarding it a very healthy 4 out of 5 stars. Since then we've gathered together our thoughts on how to dominate the global leaderboards. Read on to find out how to get the most out of your matches. 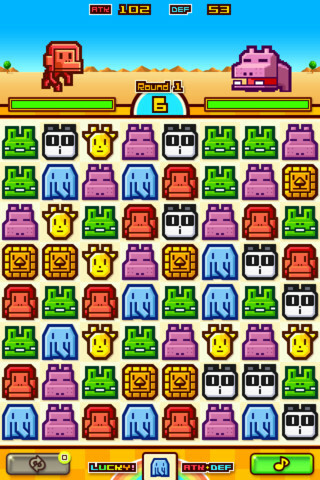 You can only move each tile one space up, down, left or right, so your match-ups are restricted to tiles that are in close proximity with each other. Of course, you should also take chain matches into consideration, so if you can create a combo-tastic cascade then you'll reap a greater reward. How can I increase my attack and defense points? 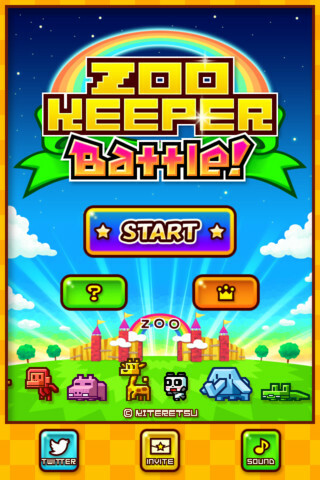 Every Zookeeper game has favored fast-thinkers and this edition is no exception. 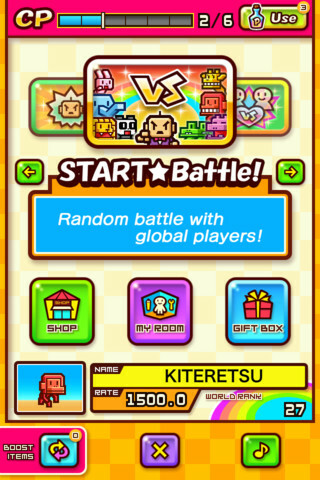 Unlike most matching games you can create new matches while an old one is still playing out its animation. You can't mess around with an area of the grid that's settling down though, so always keep your eyes on the whole screen and work your way through multiple parts of the grid. It's tough, but practice makes perfect. Why has the screen gone gray? Your opponent collected a bucket of sand in the previous round. Unless you've dipped into the cash shop, there's no way of getting through this except to focus as hard as possible on correctly making matches until the effect wears off. You can prepare yourself for the problem by paying close attention to the combat animation at the end of each round. If you see a bucket dumped on your character's head, you know you've got a tough round ahead of you. Why has my opponent gained health? This happens for the same reason as gray-outs. In the previous round your opponent will have collected one of the hearts that very occasionally appear on the grid. You should always grab these the moment they appear as it'll give a boost to your health meter just before the next combat round begins. Why are there "face" tiles on my screen? Ah, your opponent was lucky enough to summon an angry boss upon you! When this happens, these useless tiles will fill part of your new grid. Get them cleared out as quickly as possible so you can get on with the business of gaining more useful attacking and defensive tiles. What do the binoculars do? These are fantastic and you should tap on them whenever they appear. Once you've done so, the game will highlight all of the available match-ups on the board. Work your way furiously through as many of them as you can until the hint expires, as the ensuing cascade has a very good chance of setting off some incredible combos. If you'd like to add a little flair to your good sportsmanship before and after matches, head to the 'My Room' section of the main menu. From here, scroll right until you see a screen with two buttons marked "Beginning greetings" and "Ending greetings". Here you can change how your salutations will appear to other players. What is the quest mode? You'll be set challenges periodically and you can see what's needed of you by checking the quest option from the main menu. Win matches for special prizes! What can I buy from the shop? These restore your CP meter which allows you to participate in new matches. They're available in a variety of quantities and prices vary by region, so check inside the shop via your device. This boost will shuffle all of the tiles on the grid if you've found yourself hopelessly out of your depth in a round! If you want to get your own back on your opponent, brush aside that bucket of sand that's graying out your screen with one of these brushes. Send the boss packing with a tipple! Using one of these will remove all of the boss faces from the grid.